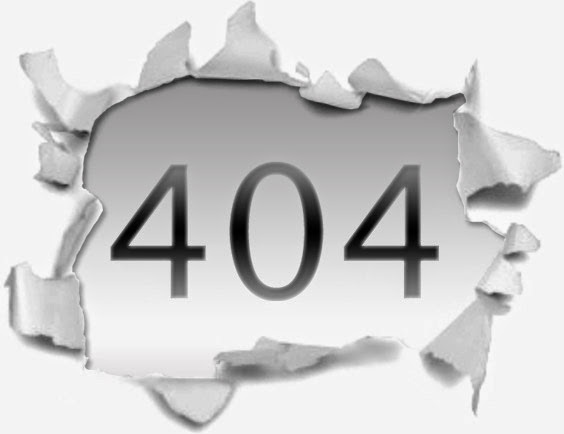 Have you ever wondered about the numbers that you have found on some websites like ERROR 404? Those numbers mean something and tell you the reason what's with the page. Here's the complete list of the codes. 100 Continue This means you computer has sent the request to the server (header) and the server receives it. Thus the server demands your next request (body). 101 Switching Protocols You, as the requester has asked the server to change the protocol. 200 OK Action completed successfully, a standard successful response from HTTP. 201 Created Your request has been received and a new resource will be prepared. 203 Non Authoritative Information Partial Information Response to a GET command, indicates that the returned meta information is from a private overlaid web. 205 Reset Content The server has processed the content but is not sending it back to you. 303 See Other It should be assumed that the server has received the data and the redirect should be issued with a separate GET message. 305 Use Proxy The requested resource requires a proxy. 402 Payment Required For future use, like micropayment. 403 Forbidden Your request has been denied because you don't have permission. 404 Not Found The requested file was not found, the page you are looking for in a site does not exist. 500 Server Error This error might be a result of a problem with the code or program you are calling rather than with the web server itself. 505 HTTP Version not supported The server does not support the HTTP you have requested. 509 Bandwidth Limit Exceeded The resource you have requested does not have bandwidth left. No response yet to "List of HTTP Status Codes"